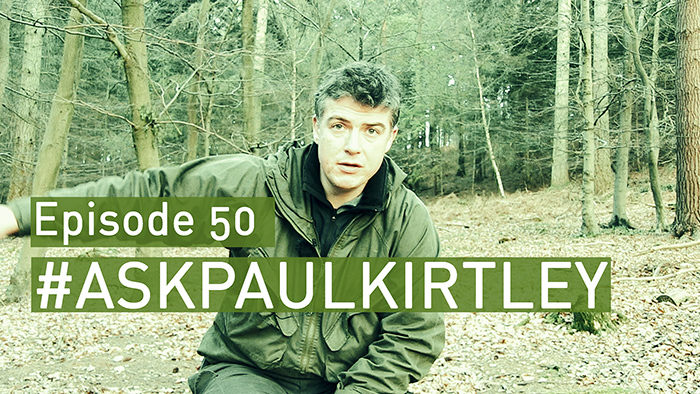 Wow … I’m ploughing through ALL of the brilliant #AskPaulKirtley videos and I’m only halfway through after several days. The amount of information is utterly mind blowing! I will reach the end but I’m wondering if I’ll have any relevant questions left to ask when I get there! Thanks for taking the time to do these excellent presentations. I’ve never been bored by the early nights as I believe it’s the perfect time for thinking and reflection. If it’s cold then I get into my bag and drift in and out of sleep until it’s time to make breakfast. The one time I had a fire incident was when my brother kicked over a trangia burner, although we put it out very quickly, it was scary for a moment. I’ve never had a camp fire, so there’s no issue with that. In regards to the question about having a fire on windy days, the Dakota Fire pit could be a great option, depending of course upon the current and recent weather conditions, soil type and location. This fire pit is best used in soils with a decent clay content, as the fire will quickly seal the inside of the hole, preventing it from spreading outward. It is important to keep in mind however that it would be quite dangerous to use in an area that has many roots in the soil, particularly in a highly cedared area, or in dry conditions. I cannot attach an image here, but a quick Google search would provide you with many detailed instructions on how to construct a Dakota Fire Pit.